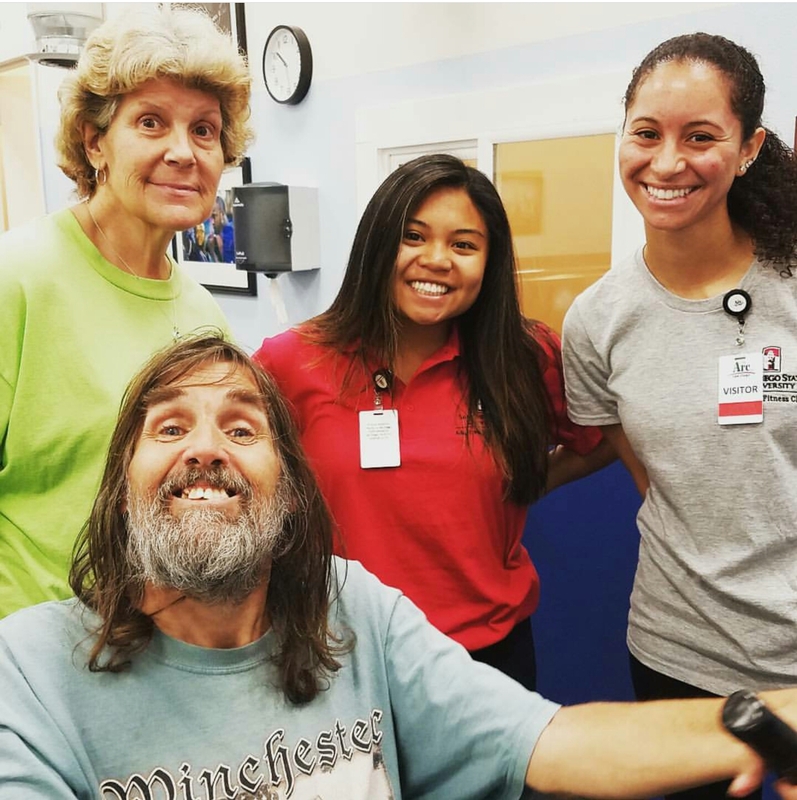 Exciting things are happening at SDSU’s Adaptive Fitness Clinic (AFC). Since Program Director, Matt Soto, took over in the Fall of 2015, overhauls to the curriculum, website and staff direction, as well as name and logo have brought the Clinic to the forefront of the Aztec Experience. However, success has come with a price. Due to facility constraints, the wait list of potential clients has grown from two to sixty two people in the last year and the AFC has had to come up with creative solutions to serve their population in need. The AFC provides safe and affordable access to fitness for real clients in the San Diego community with neuromuscular, cognitive, and other physical disabilities, all while training future kinesiology practitioners by educating and, subsequently, overseeing them lead their clients through a semester of exercise. 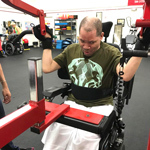 The students, with staff guidance, progress and motivate their clients through their rehabilitation and wellness goals, empowering both student and client in the process. With a growing number of kinesiology students being admitted to SDSU and the huge need in the community, it’s imperative for organizations like the Clinic to prioritize new options. Enter the creative thinking of Matt Soto and the AFC. “An Arc [Arc of San Diego] representative reached out to me for some guidance and help developing a Fitness Program for one of their facilities,” said Soto on how a new partnership formed. “We are in need of additional space for our students and clients, so I decided to discuss the possibility of bringing our experience and program to them and collaborating.” Several months after this interaction, the Clinic has now opened up a pilot program at the Arc’s North Shores Vocational Center location, off of Aero Drive. The collaboration includes AFC clients and students utilizing the Arc facility twice a week. When asked about future plans and where this pilot could lead, Soto has high hopes. “[The] ultimate goal would be establishing a long term partnership to develop and build out a North-shore site and potentially have Arc/SDSU Adaptive Fitness programs throughout San Diego region (utilizing their existing facilities).” Essentially, opening up more facilities means more opportunity for students to learn and greater possibilities for rehabilitating individuals to get the help they need.